Elzanowski, Josef in Wlochy (Poland). 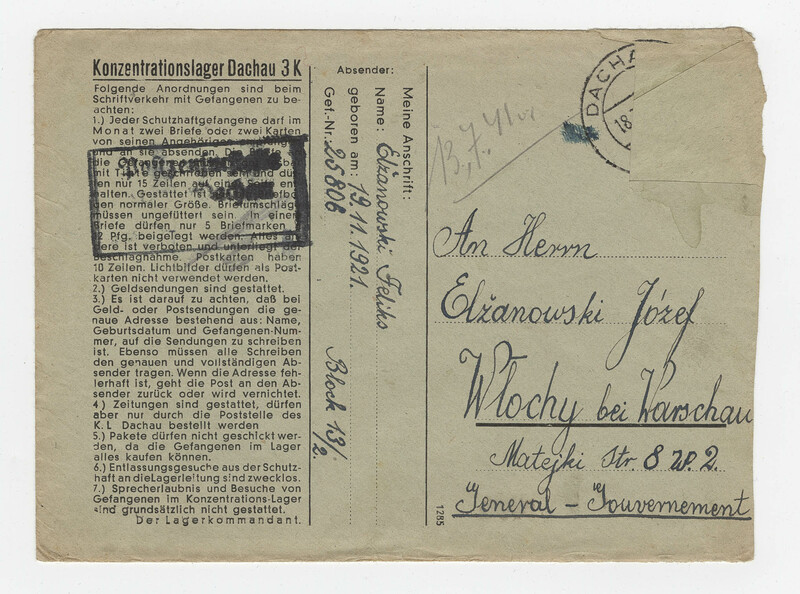 Feliks received letter of June 30th '41. He's glad father and sisters are healthy. He is still well and received 15 RM his father sent and thanks him for the stamps. He thinks often of them and waits impatiently for letters. He sends greetings to his father, Hedwig, Stanislaus, Kasimir and the relatives. 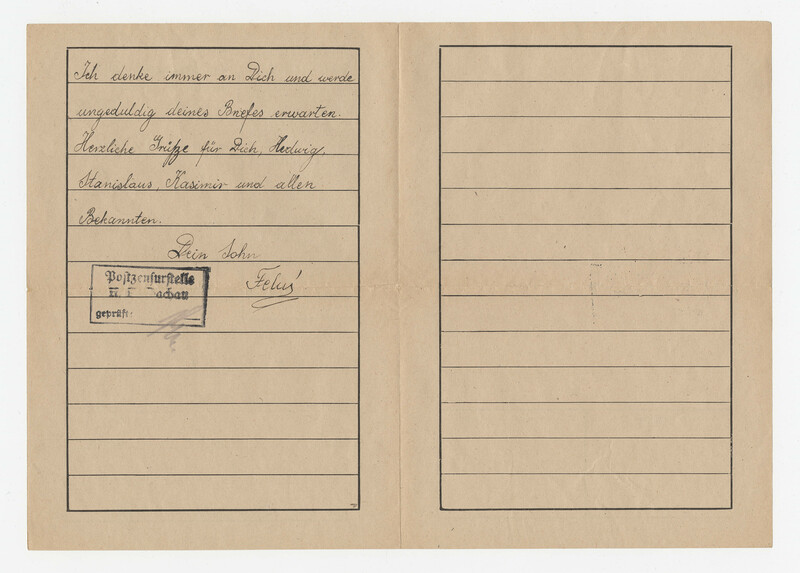 - Part of collection of letters (identifier 0442-0455) in chronological order. The corresponding envelops are in entry 0460, but because of the missing postmarks it is impossible to reunite them with certainty. 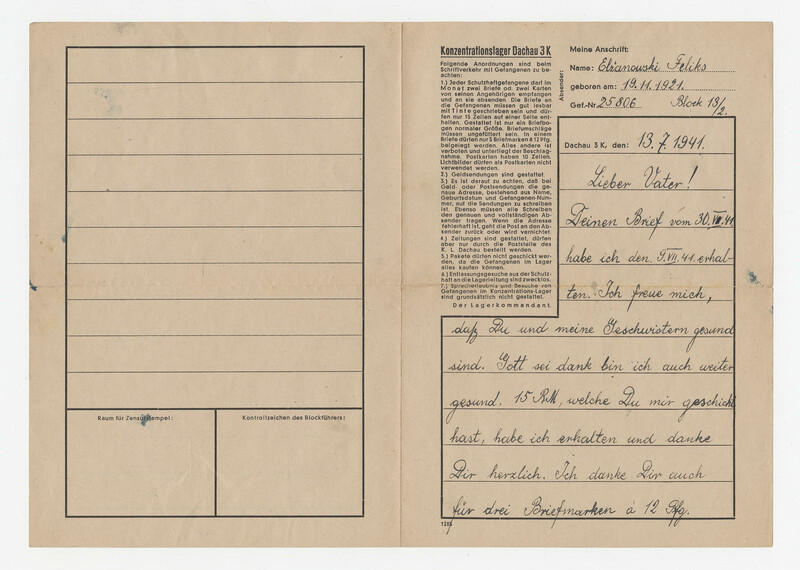 - Prisoner arrived at Auschwitz on 15 August 1940, then was transferred to Dachau between 1st April and 15 June 1941, only to come back to Auschwitz between 13 September 1942 and 30 January 1943 then transferred again this time to Buchenwald between 1st February and 18 April 1943. Letters are addressed to Josef Elzanowski in Wlochy (Poland).